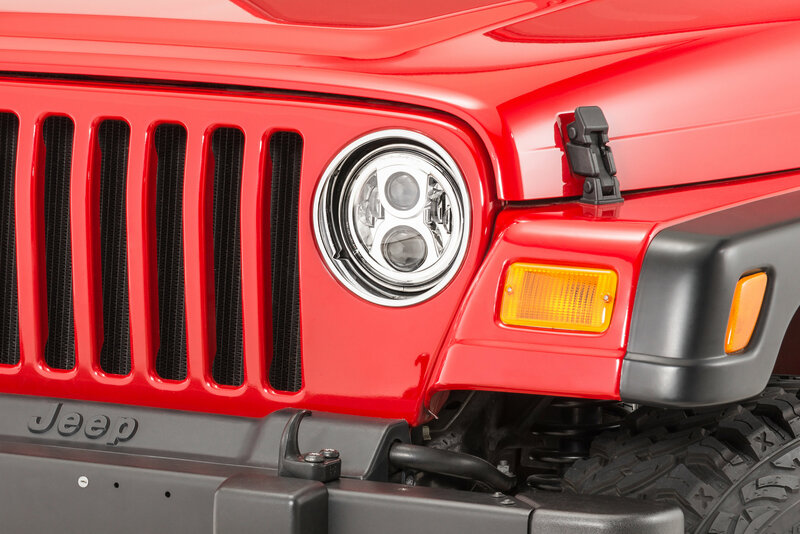 These New Model 8700 Evolution 2 LED Headlamps are a true high performance LED headlight, which are designed to be a direct replacement for 7" round lamps. 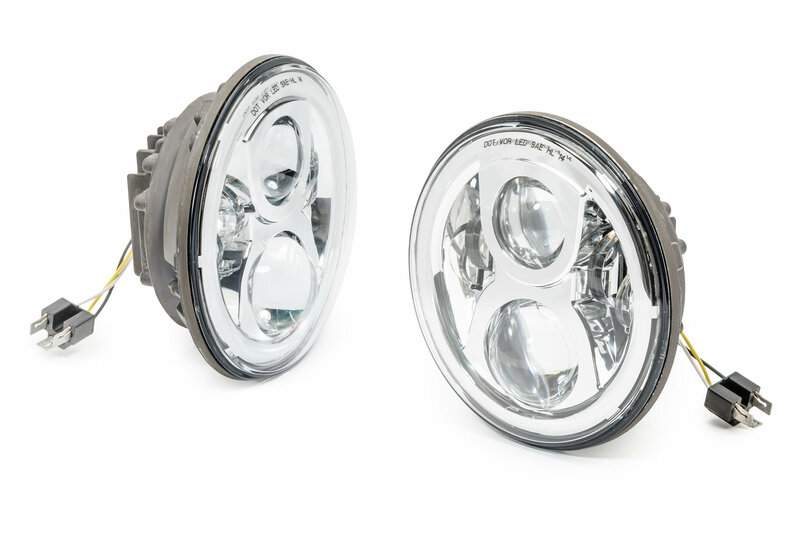 High beam raw lumen output increased by more than 45% with these new headlights. 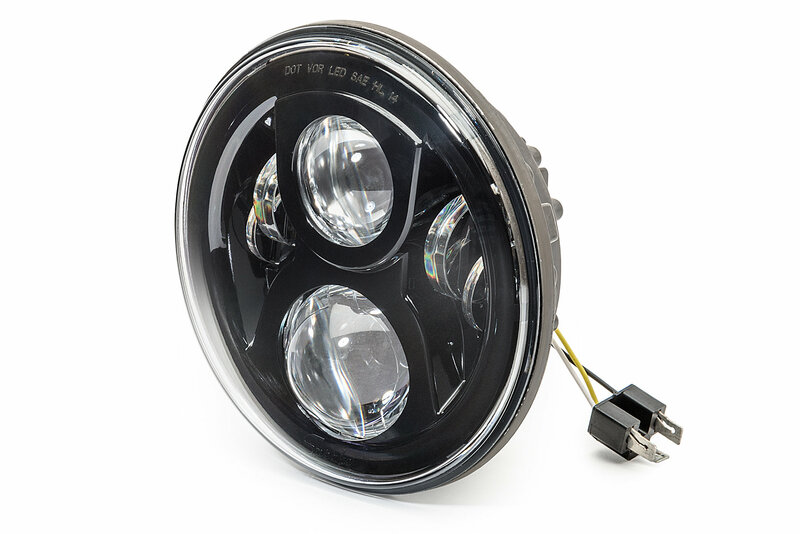 Effective lumen output on the Model 8700 Evolution 2 increased by more than 50%! 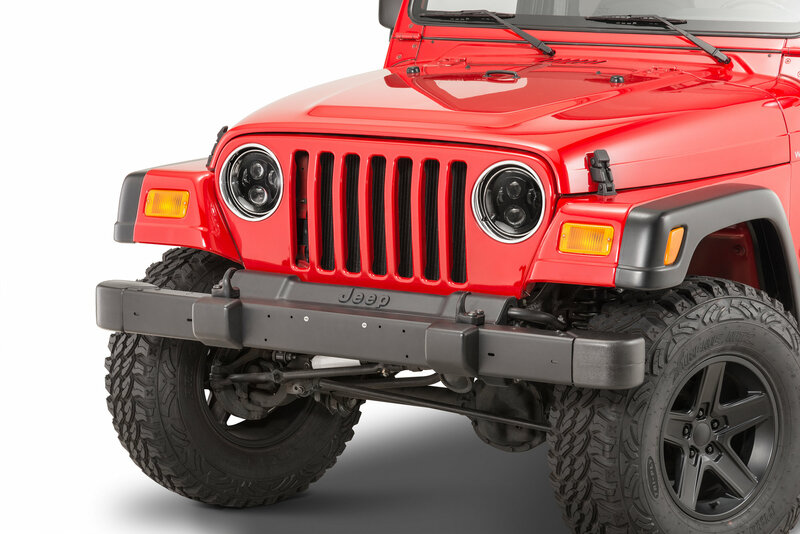 If youre in the market for DOT or ECEcompliant LED headlights that turn the night into day! These headlights offer superior visibility, safety and durability, making it the most advanced LED headlight available on the market today. 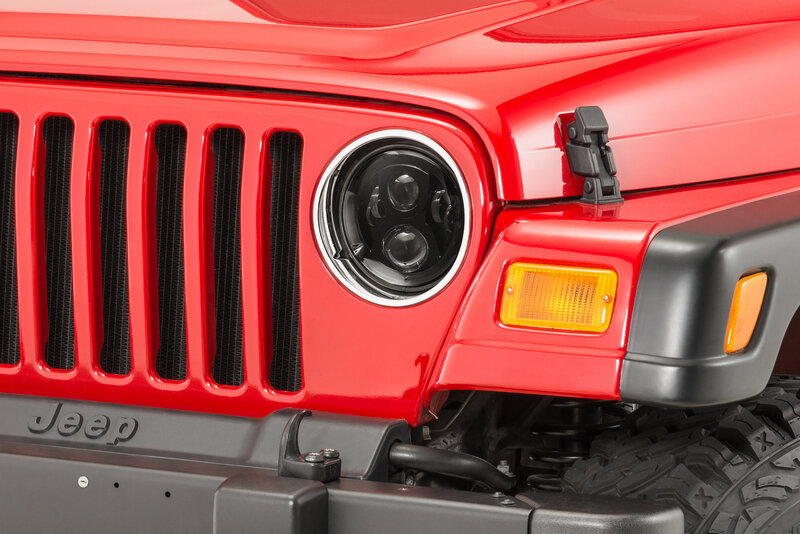 The Low Beam consists of the outer two LED's and the upper Projector, while the High Beam is the lower LED Projector. A UV-resistant polycarbonate lens covers the LED housings which are available in your choice of a "Bold Black" or "Muscle Chrome" inner bezel. 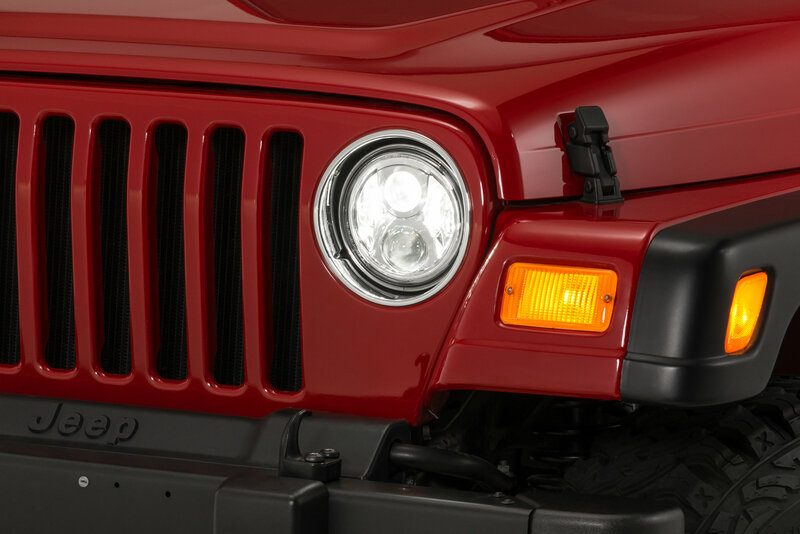 Built with Rugged solid state LED's, these lights can withstand shock & vibration with ease. 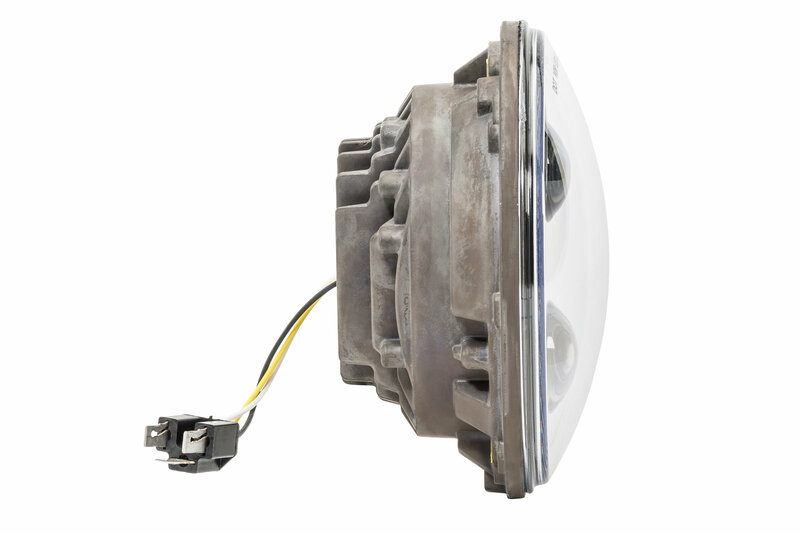 Built with Long-lasting LED's mean never having to replace another bulb again! 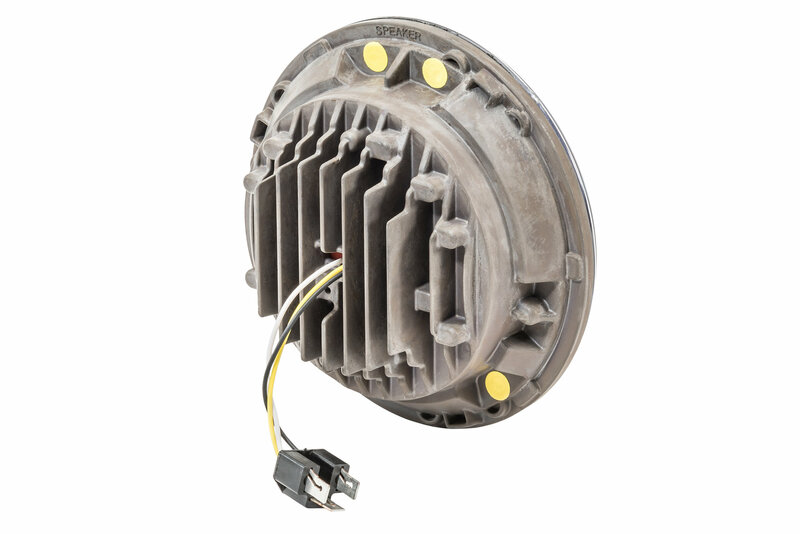 Die-cast aluminum housing also provides maximum protection while doubling as a heat sink. 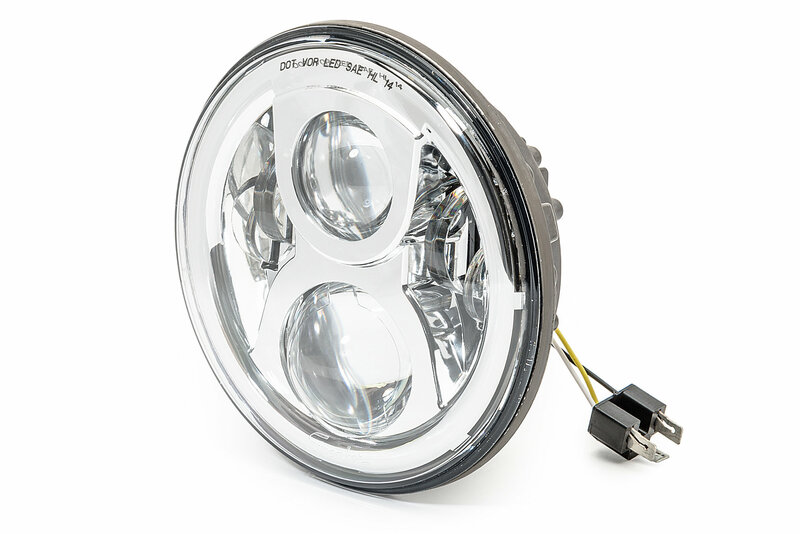 Plug & play replacements for 7" round headlights. Sold in Pairs. 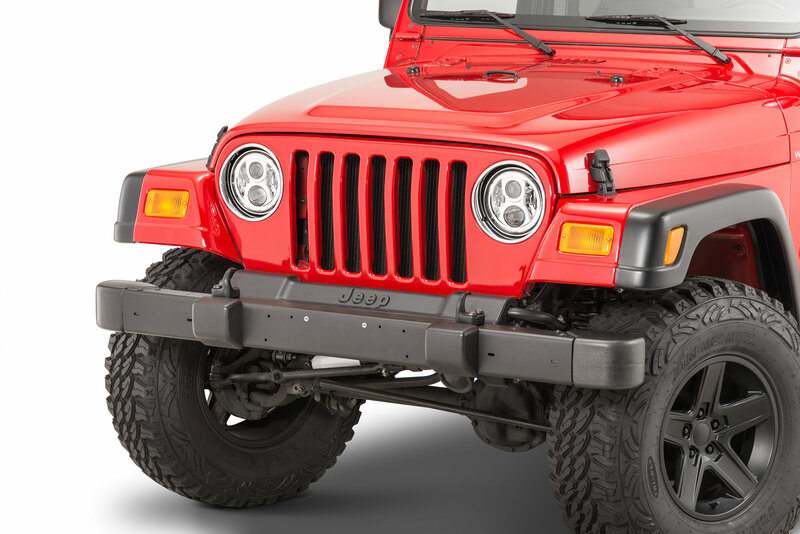 US DOT model Jeep Wranglers only. These headlights are bright, but they have some hot spots and some yellow spots i have noticed. Also, in less than six months of owning them I have developed condensation inside both units when it rains, and according to JW Speaker warranty policy, that is a normal occurrence. I wouldn't recommend these for the money. 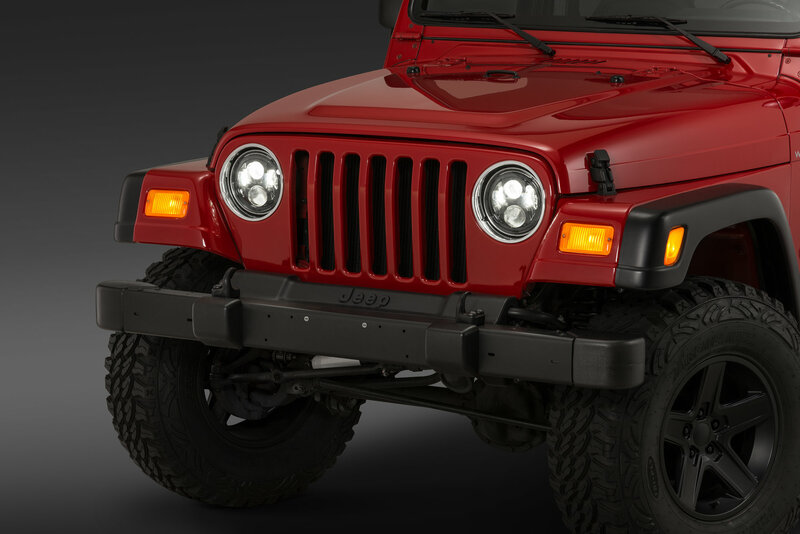 I might suggest Quadratec LEDs or Truck Lite LED headlight systems.